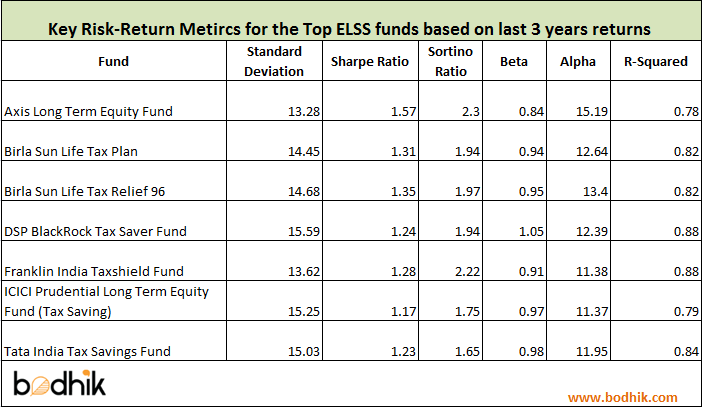 ELSS stands forEquity linked saving schemes. It is nothing but a diversified equity mutual fund scheme which comes with an additional feature of tax saving under section 80C. Essentially the amount you invest in ELSS can be adjusted against the 1.5 lac annual deduction limit. ELSS are also called tax saving mutual funds. ELSS schemes come with a lock-in period of 3 years, so you cannot withdraw your money for 3 years. ELSS schemes come in 2 basic options –> one is the dividend option and the other is the growth option . In dividend option, you get a periodic dividend, while in the case of growth option your money keeps on growing. ELSS schemes provide best in line tax benefits . ELSS schemes fall under EEE mode which means you get a tax deduction on your investment, your principal attracts no tax and capital gains also do not attract any tax. With a lock-in period of 3 years, the equity oriented funds have a higher probability of giving good returns. You can invest using SIP mode to reduce your average cost. When you invest in ELSS , do not invest in lumpsum at the end of the year when you are in a hurry to submit the investment proofs but plan it through a monthly SIP through the year. SIP has multiple advantages one your money keeps getting deployed regularly throughout the year, secondly, it helps to lower your average cost of investment hence increasing return over the long term. Now that we have set up enough background about ELSS funds or Tax saving funds, let us dive straight into the list of best ELSS funds to invest in 2017 . Stated objective of the scheme like most of ELSS schemes is to grow your investments and help save taxes.Birla sun life investment strategy is to have a diversified quality portfolio. It generally invests about 50 % in large cap, about 30-35 % in mid caps and rest in small caps. As you can see in the chart below Birla sun life tax plan has been as a superlative outperformer in last 2 years and has outperformed the benchmark index handsomely. This is a fund which has been around for more than 16 years and has its ups and downs but last few years it has given solid performance quarter after quarter. DSP Black rock tax saver has been a top performer in last few years. The fund boasts of a total AUM of Rs 1496 crore as on3st October 2016 and has an expense ratio of 2.64%.The fund was started on 18th Jan 2007. It has deleivered approximately 14% return snce its inception till Q3 2016. 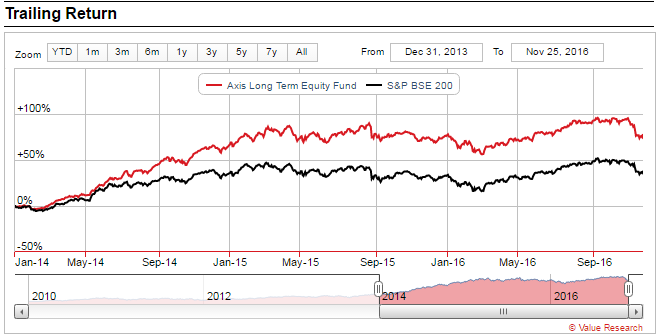 Axis long term equity fund has had a little bit bad run in last 6 months or so but this does not take away anything from the fact that Axis long term equity fund is a proven strong performer over the long run. As on 31st October that total Assets under management for the fund is about Rs 10,999 crores and the expense ratio is about 1.98%.Axis long term equity fund has delivered an amazing 17%+ return since its inception. Stated objective of the scheme is to provide long-term capital appreciation.It is an open-ended scheme which invests about 80% in equity and rest in debt. The scheme has a total AUM of Rs 2541 crore as on October 31st, 2016. It was launched on March 29, 1996. And has been a consistent performer for last so many years. We have followed a standard process bodhik framework to arrive at this list. The framework has 3 big pillars. Superior performance on returns versus the risk taken. we use the standard bodhik risk-return framework for this . Traditionally PPF has been a preferred tax planning investment. It locks in your money for 15 years and provides tax deductions under section 80C. Well ELSS can do all that PPF does and more. Here are 3 reasons why you should replace PPF with ELSS in your portfolio. 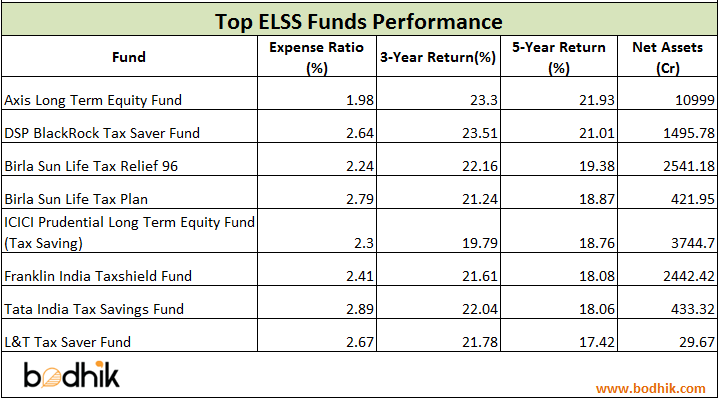 ELSS funds outperform PPF in terms of returns .Average annual returns on ELSS are in the range of 10-13 % while PPF returns are currently pegged at 8 %. See the graph below which explains the difference in your financial corpus if you invest all your 80 C money i.e. 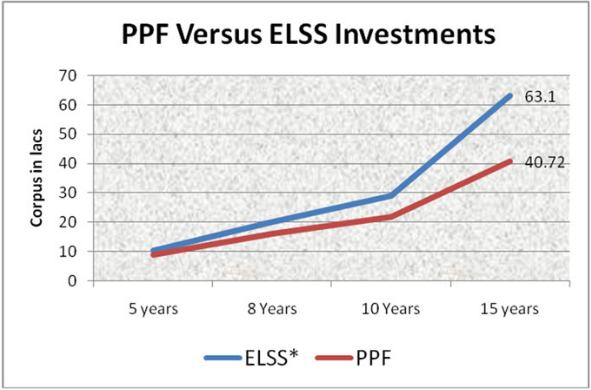 1.5 lacs in ELSS versus PPF for a period of 15 years. Credits for Return charts: Valueresearch online. I want to start investing in mutual fund and buy ELSS with SIP. So is there any bank or company which provide the same? You are describing about the ELSS mutual fund in brief like advantages, Features why must Invest and all. You have told smartly that ELSS is better as compared to PPF, exactly you are right because ELSS gives the two benefits one is saving taxes and other creating wealth. So if you are a tax payer no need to think about the PPF, Invest only in tax saving Funds (ELSS).